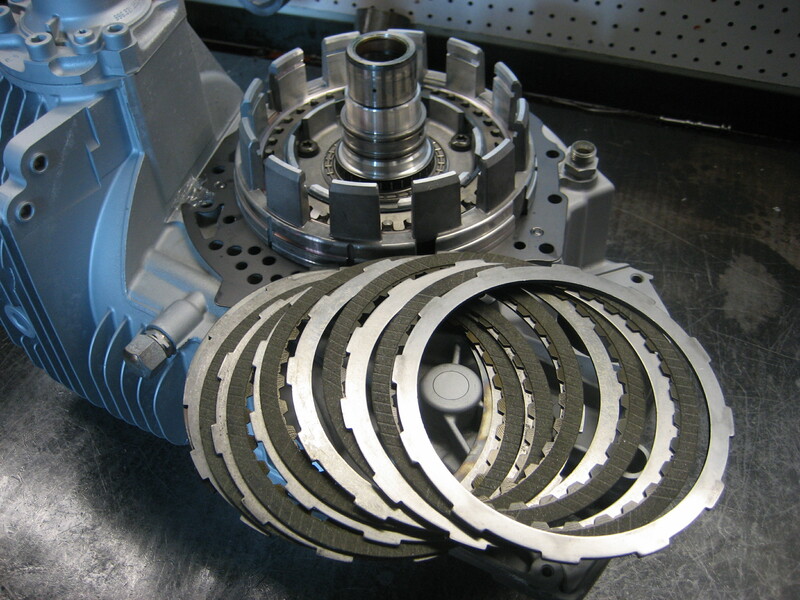 This is a picture of our new updated B1 clutch pack for a Porsche Tiptronic 722.6 automatic. This should do wonders in regards to enabling 5th gear to handle more torque. This gets an extra friction disk and an extra steel reaction plate, we’re utilizing Green High Energy friction material.